Best Books of Fall 2018 Selection by PopSugar "Stunning... An intricately satisfying story about love and understanding that is full of both nostalgia and surprising optimism." --Kirkus Reviews"A propulsive and endearing debut." 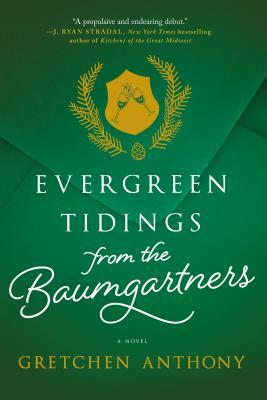 --J. Ryan Stradal, New York Times bestselling author of Kitchens of the Great MidwestA formidable matriarch learns the hard way that no family is perfect in this witty, sparkling debut novelDearest loved ones, far and near--evergreen tidings from the Baumgartners Violet Baumgartner has opened her annual holiday letter the same way for the past three decades. And this year she's going to throw her husband, Ed, a truly perfect retirement party, one worthy of memorializing in her upcoming letter. But the event becomes a disaster when, in front of two hundred guests, Violet learns her daughter Cerise has been keeping a shocking secret from her, shattering Violet's carefully constructed world.In an epic battle of wills, Violet goes to increasing lengths to wrest back control of her family, infuriating Cerise and snaring their family and friends in a very un-Midwestern, un-Baumgartner gyre of dramatics. And there will be no explaining away the consequences in this year's Baumgartner holiday letter...Full of humor, emotion and surprises at every turn, Evergreen Tidings from the Baumgartners brings to life a remarkable cast of quirky, deeply human characters who must learn to adapt to the unconventional, or else risk losing one another. This is the story of a family falling to pieces--and the unexpected way they put it all back together.